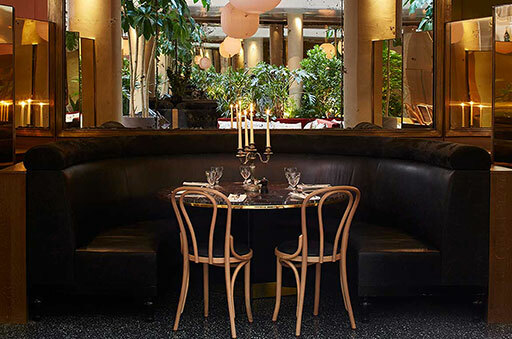 Discover our trendy restaurant, a contemporary brasserie in the heart of Saint Germain des Près. 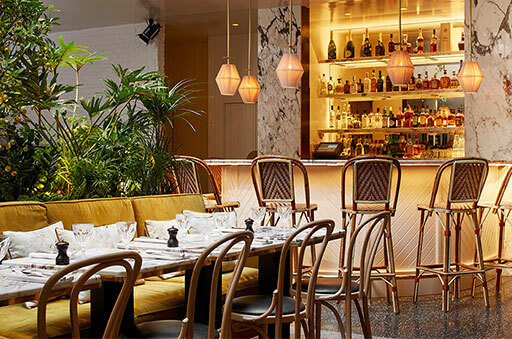 The Alcazar, the idea of a big house, which receives in a new spirit, a brasserie revisited, a simple concept a chic table, with the convivial atmosphere, serving you dishes using fresh products of French soil in a idyllic setting. The Alcazar wants to honor a certain art of living made of culture, gastronomy and humor. In short, a restaurant where you will feel like home. With a total freshness and an absolute elegance, one calls upon the perfect refinement of the craftsmanship: it mixes the marble, the brass, the straw and the wood. From furniture to noble materials, you will appreciate this chic style with ease. 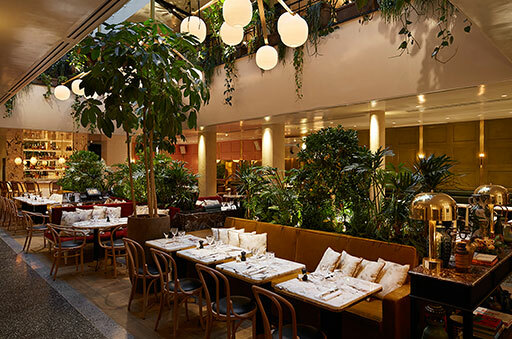 Discover an interior patio looking like a garden in the heart of Paris, hidden in Saint Germain Des Près. The main room, capped with vegetation, will make you spend a pleasant moment in a soothing atmosphere filled with greenery.